At The Lost Dogs’ Home we love it when we see the dogs and cats in our care go on to find their ideal, happy home. 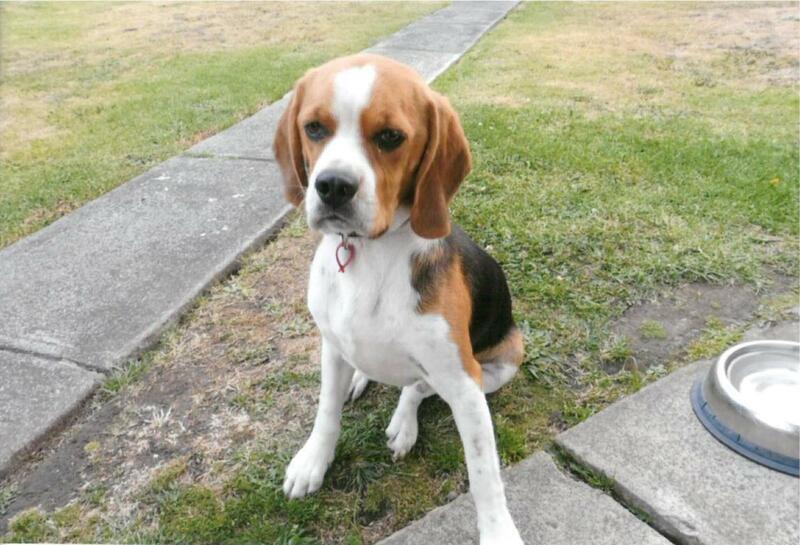 Formally known as Luigi, young beagle cross Mojo has brought great happiness into the lives of his newly adopted family. So much so, that the Brown family took to writing a letter to the Home to give us an update on how he’s going in his new home. He has brought so much joy to the Brown family we decided to share their letter with you in this edition of Adopted & Adored. Despite not owing a computer, we wanted to send you an update on Luigi, now known as Mojo. Enclosed are some photos of Mojo, also affectionately known as Mojo Baggins, Mojy, Big ears, Snoop and the long eared lay about. We adopted Mojo from the Home on 21 September 2015. Little Mojo has been great therapy for our whole family. We have daily funny stories to share about him and what he has been up to. 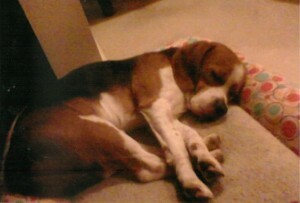 Despite being an outside dog, Mojo still has a lot of interaction with family and friends. 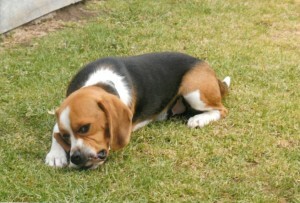 He has a big backyard and loves playing activity games such as fetch and tug-of-war. Mojo is already on his second lot of kennel bedding. He enjoys dragging his blanket out of his kennel and playing tug-of-war with it! Although he is a little shy, Mojo is very confident around our family. He can be shy around strangers, but when our friends give him treats, he’ll immediately become their best friend. We are working to build Mojo’s confidence in the outside world over time with his daily walks. Mojo loves affection, particularly pats and belly rubs! He is eager to do what is expected of him, but there are times when he forgets. We suspect this is due to his excitement and puppy cuteness. We love the little guy and are sure he feels the same about us. Thank you for our little bundle of joy.